Bad news, cheap beer lovers. Your beloved PBR tallboy may soon disappear from the coolers behind pockmarked dive bars across the country. Pabst is taking MillerCoors to court in a trial that began Monday, November 11. Pabst alleges that MillerCoors is attempting to put it out of business by ending a long-running partnership in which MillerCoors brews Pabst's beers, the Associated Press reports. The big beer company has brewed Pabst brands, including Lone Star, Pabst Blue Ribbon, Old Style, and Natty Boh, since 1999. The practice is called contract brewing. One company contracts another to brew, package, and ship its beers. Pabst's lawyers contend the company has no way to brew its beers outside of its partnership with MillerCoors, which is slated to end in 2020. The only other company with the capacity to handle the volume Pabst sells is Anheuser-Busch, which does not do contract brewing, according to the AP. The conflict arises because the companies differ on how they believe the two potential five-year contract extensions should be negotiated. 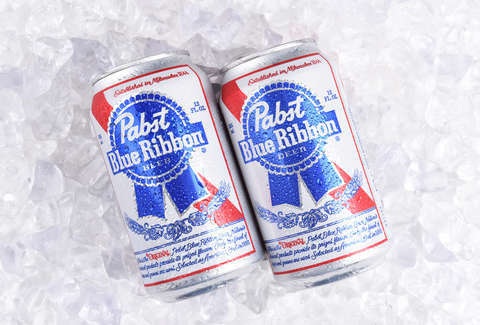 Pabst claims it has "stunning documents" that prove MillerCoors wants to "get rid" of its brand to gain a larger hold of the cheap beer market and that the proposed rate hike for a contract extension is "a commercially devastating, near-triple price increase." For its part, MillerCoors says it is not required to brew Pabst beers after the end of the contract in 2020 and that Pabst won't pay enough to justify an extension of that contract. The company further says it will not have the capacity to handle continuing to brew Pabst brands. The details of the back and forth get deep into the weeds, but the outcome of the case could result in the disappearance of Pabst's beloved beers, including PBR, should MillerCoors stop producing beer for the brand. It won't spell the end of cheap beer, but you may have to bid farewell to the only liquid you drank through the entire four years of your undergraduate studies. "Since 1844, Pabst has been offering authentic, great tasting and affordable beers to all Americans. From our flagship brand, Pabst Blue Ribbon, to our local legends, which include Rainier, Lone Star, Old Style, Stag, Stroh, Natty Boh, Olympia, and others – these iconic brands all have rich histories and deep roots in communities across the country. We are deeply disappointed that MillerCoors, the U.S. subsidiary of multinational brewing conglomerate Molson Coors, has willfully breached our 19-year agreement in an effort to stomp out the competition. Even though MillerCoors’ market power is much larger than Pabst’s, we will not allow this industry bully to push us around. We are confident that the court will see MillerCoors’ fabricated 'capacity' concerns for what they are: a thinly veiled, bad faith attempt to unlawfully hurt a competitor." Below is a statement about the case from Marty Maloney, manager, media relations at MillerCoors. "Under our brewing agreement, we determine whether we will have sufficient capacity to continue to brew Pabst products during any renewal term. In 2015, we were required to predict capacity for 2025 and did not feel we could make that commitment. We informed Pabst of that decision and provided them with seven years to make other arrangements."